statements or even worse “Add as Link” source file sharing practices. If you have an existing .net class library which you would like to reference from a different runtime (e.g. 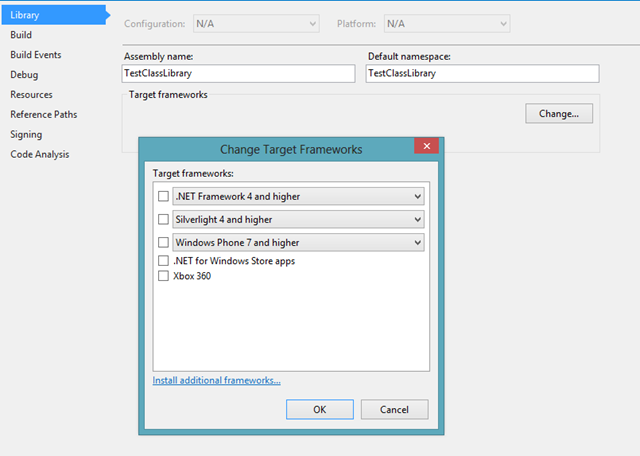 you have a .NET Framework 4.5 library which you would like to reference from a Windows Store project), you can either create a new portable class library and move the classes there or edit the existing .csproj file and change the XML directly. 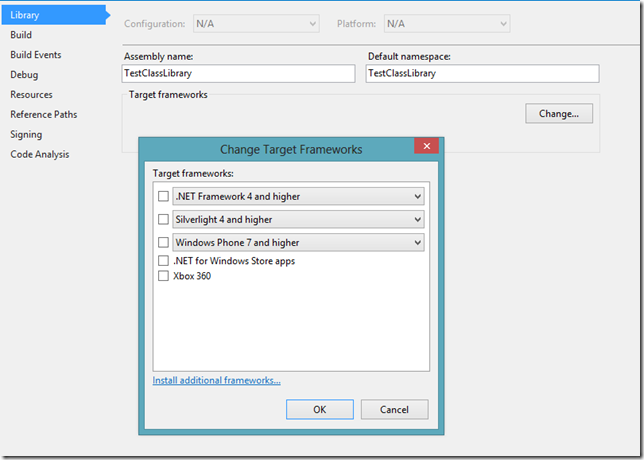 The following example shows how to convert a .NET Framework 4.5 library to a Portable Class Library. As last step, delete any framework references from the library as you have them already referenced via the .NET Portable Subset. This is not enough, not for VS 2013 anyway. You also need to add a valid <TargetFrameworkProfile> (Portable24 in my case, copied it from an existing PCL). 1)Create a new project of the desired type - call it template. Might require some more tweaks based on the source and target framework versions. For newer versions of Visual Studio this solution might not work. I recommend rather comparing the .csproj file of PCL project with the Class Library project's and adding/removing the necessary lines for working solution.